In September 2017, retail prices of most monitored food commodities showed an upward trend as compared to last month and 3 months earlier. This increase is mainly due to the lean season effect for most monitored crops, and the partial obstruction of road access and transportation services caused by monsoon-induced floods and landslides. 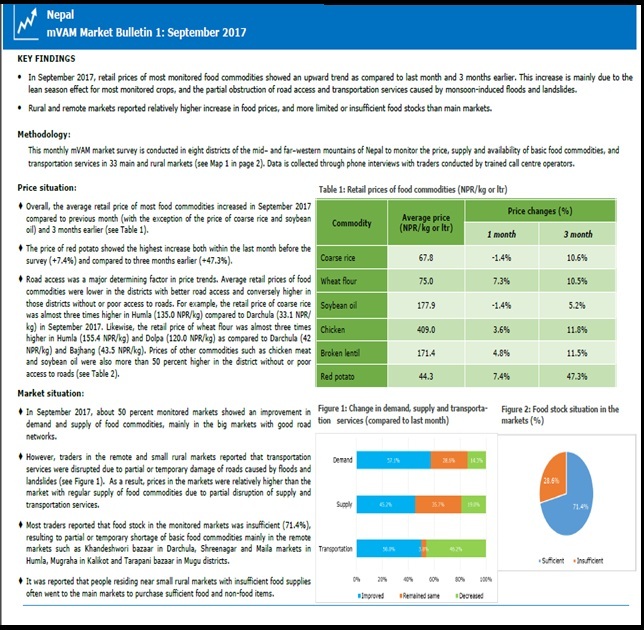 Rural and remote markets reported relatively higher increase in food prices, and more limited or insufficient food stocks than main markets.